He taumata tahi Rūmaki Māori mātou. 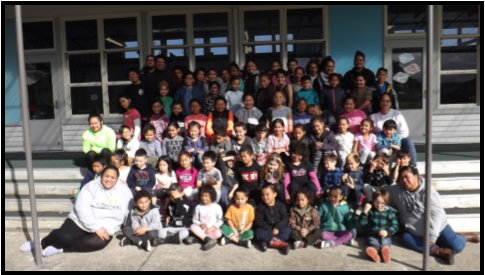 Ka whakaako mai ngā kōhungahunga (NE), tae noa ki ngā tuākana (Year 8). Ko te reo me ōna tikanga te kaupapa o tā mātou whānau. 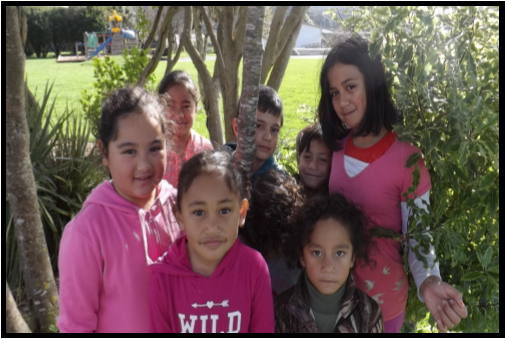 Te Whānau deliver a quality education in Te Reo within a Māori Medium context. I stand strong and confident in making Connections with people. I stand strong and confident participating in and contributing to The Global World. The Kauri tree was brought from Pencarrow when Glendale and Pencarrow merged to form Pukeatua School.